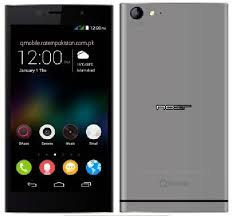 QMobile Z8 smartphone is a Qualcomm CPU MSM-8916 based phone form QMobile. This firmware we read whit CM2 Qualcomm tool as a factory flash file if you don,t have CM2 flash tool then you can write this file with QFIL toll.Before flash this phone you must have to install Qualcomm USB drivers on your PC then you can flash or update you QMobile Z8 or any other Qualcomm CPU based phone we have added latest USB drivers of Qualcomm based chips first if you install that drivers on your PC after that you don't need to install that driver you PC will auto-detect your smartphone. After flash or update all of you data will be deleted. If your phone is power on and you have access for setting then tack backup all of you data like photos and video,s then full reset you,r phone form back up and reset then flash or update. HOW TO FLASH QMOBILE Z8 WITH QFIL TOOL. Download QMobile Z8 official firmware and unzip on you,r PC. Then select Build folder select Z8 folder. That firmware update is only for only for QMobile Z8 don't try to install that firmware on other models of QMobile Android devices that can destroy your phone.